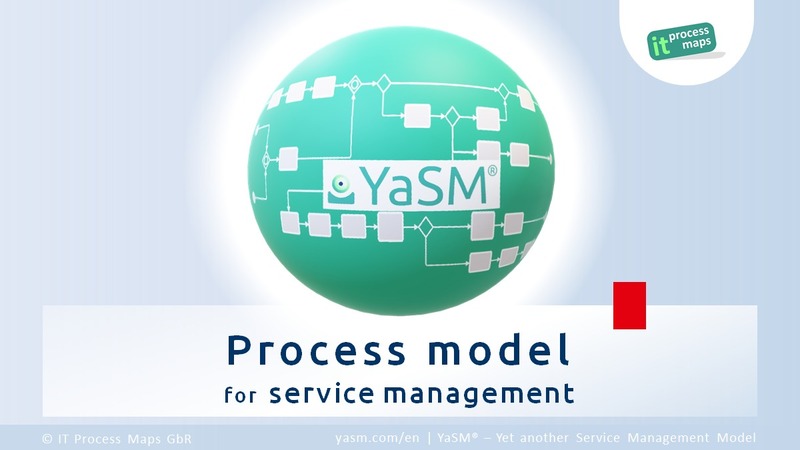 YaSM® is a streamlined process model for managing services that includes detailed, ready-to-use process and document templates. 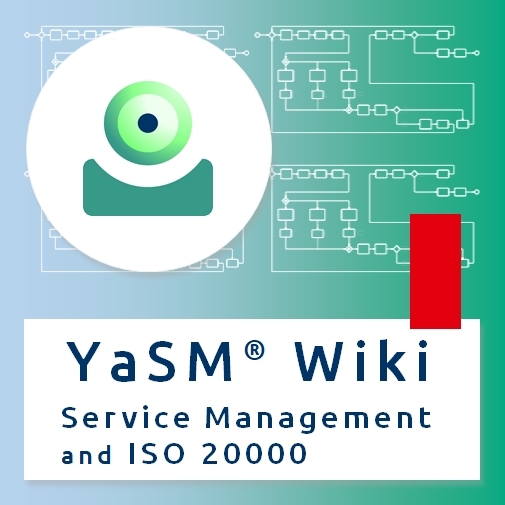 YaSM starts from the insight that all established service management frameworks and standards such as ITIL®, ISO 20000, COBIT®, CMMI-SVC®, SIAM® and VeriSM™ follow a few basic principles. Once you are familiar with these principles, you can better sort out the huge amount of advice available and introduce clearly defined processes in your organization that everybody understands. But how to get the picture of these principles, and how to define concise processes that work for your organization? YaSM has a streamlined, consistent structure so you can easily understand the ideas behind service management. Also, the YaSM model is not merely read-only information. All diagrams and documents are in fact fully editable templates, so you don't have to start from nothing as you design tailor-made processes for your organization. 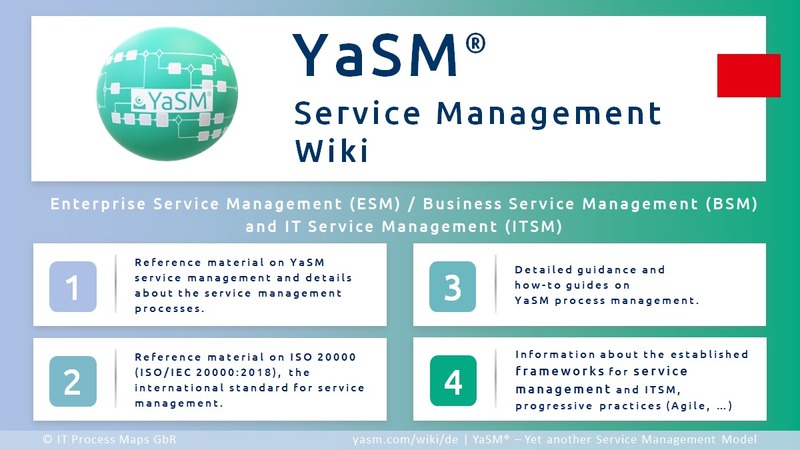 YaSM is not another service management framework. 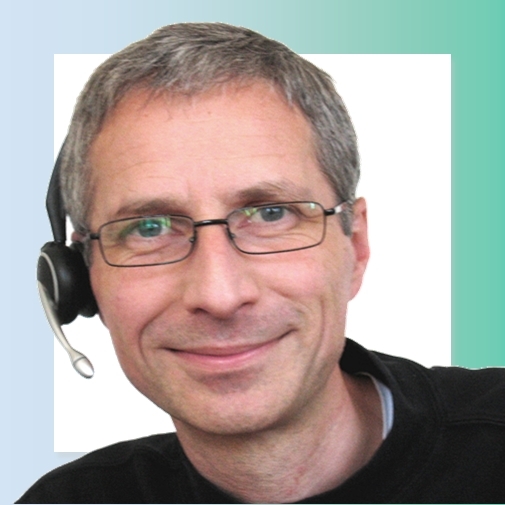 What we offer is rather a "translation" of the guidance in the established frameworks like ITIL®, SIAM® and VeriSM™ into a clear-cut collection of processes. What makes the YaSM model different? 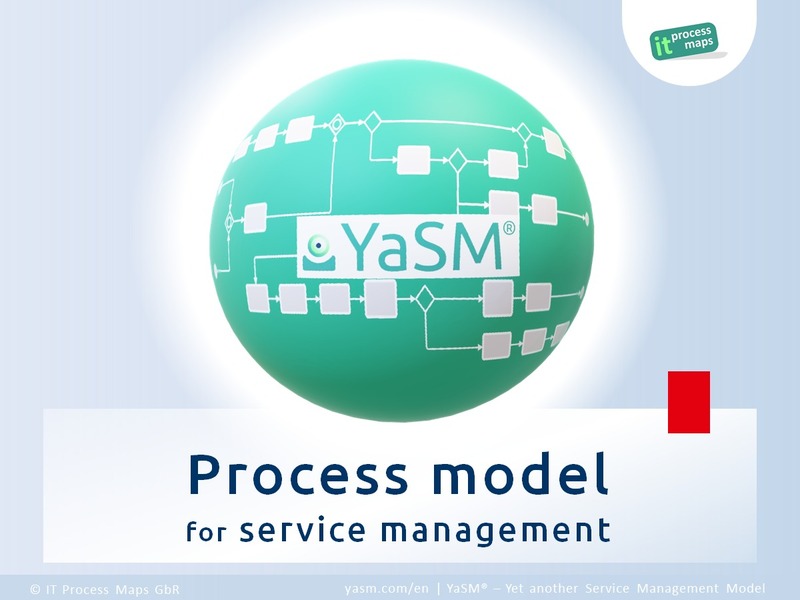 The YaSM model goes beyond high-level advice and offers detailed and accurate guidance for the analysis and improvement of service management processes. It's not presented as wordy, difficult-to-read documentation. Instead, we've designed a streamlined 'model' - a collection of process charts that are easy to read and navigate. This includes descriptions of activities and information flows, definitions of responsibilities in the form of a RACI matrix, as well as a data model. We've refined this content over the years with feedback from hundreds of clients. What do you gain from using the YaSM model? Many organizations are aware of service management frameworks such as ITIL®. But they find it difficult to apply these concepts in practice. What's ultimately required to bring the concepts to life are processes that can be implemented easily, and with the YaSM model we provide detailed templates for such processes. Of course, we don't mean to say that service management processes are the same in every organization. Every business is unique, and you'll have to use your own judgment when applying so-called 'best practice'. But starting with a complete set of templates is a lot easier than starting with a blank page. When defining the processes of your organization, you can simply modify existing content - which saves an enormous amount of time and effort. 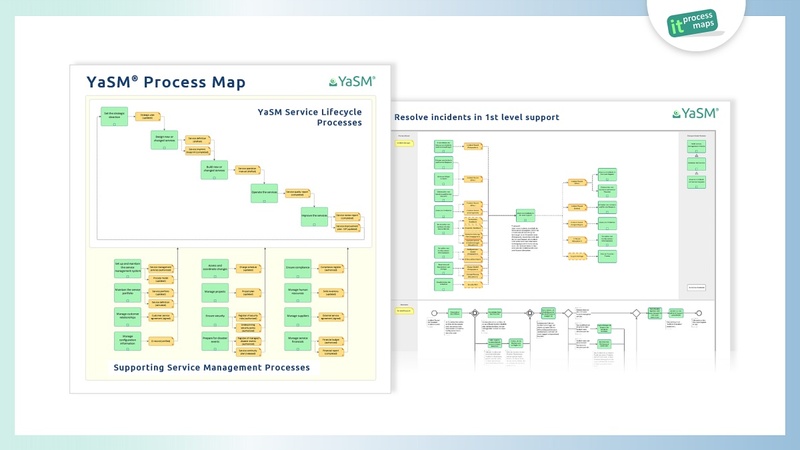 The main product in the YaSM product family is the "YaSM Process Map". It's a complete service management process model that includes 125 detailed process diagrams, 96 document templates and a RACI matrix. For each process and sub-process, our process model describes the activities to be performed, the required inputs and the resulting outputs. All diagrams and documents are fully editable templates, giving you the flexibility to define customized processes as required by the needs of your organization. 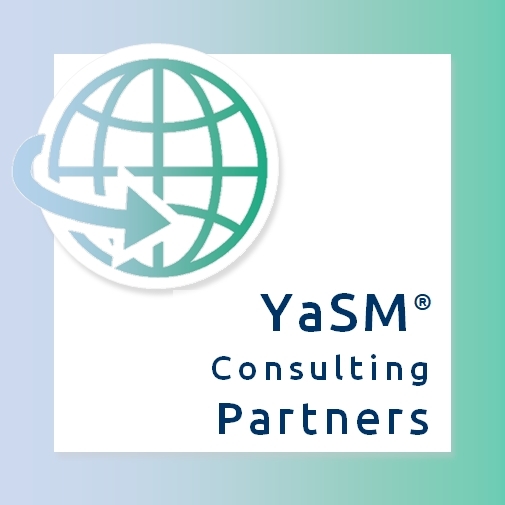 The YaSM® Process Map is currently available in English and German for Microsoft Visio® and the ARIS Process Platform™. The "YaSM - ISO 20000 Bridge" is an additional component to the YaSM Process Map specifically for organizations that wish to achieve certification against ISO 20000. 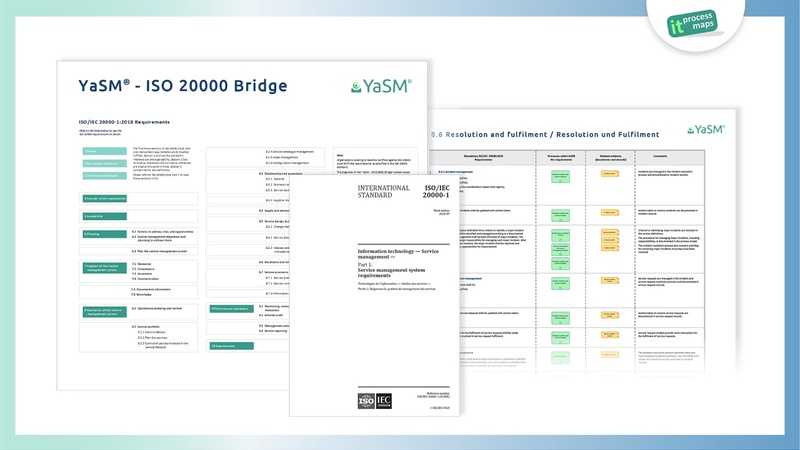 The Bridge contains the complete list of ISO 20000 requirements and explains how the YaSM processes and documents are designed to meet these requirements. So the YaSM process model and the ISO 20000 Bridge provide you with specific advice on how to fulfill every single ISO 20000 requirement. Product page: The YaSM - ISO 20000 Bridge. Where can I learn more about YaSM? 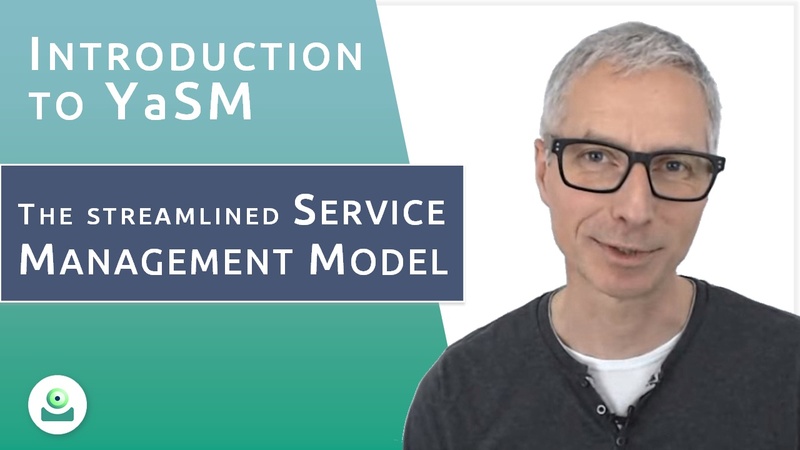 or watch the video with Stefan Kempter introducing the YaSM model.